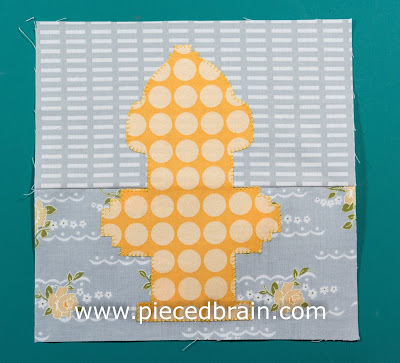 "Water Pipe" is the name of block 28 for the City Girl Sew Along. I almost used red on the fire hydrant but it would not have worked well with the fabrics I have been using. So, I chose the next best thing and my hydrant, sitting amidst a flower bed, is wearing a dotty outfit! A solid fabric would have outlined its features better but once I had the idea of using large dots I could not give it up. 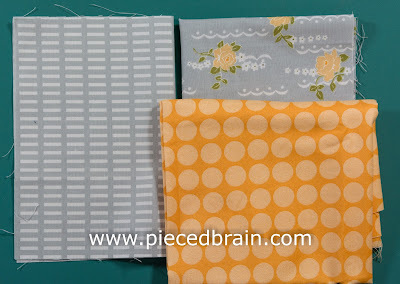 Maybe your fabric combination won't be as crazy as mine... but get it all together and get started. 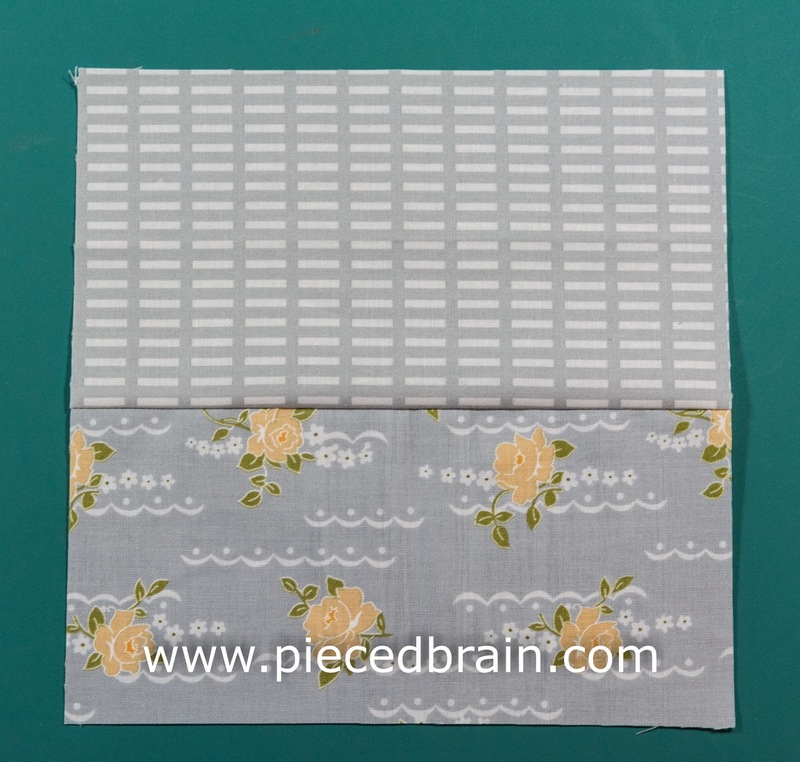 Stitch bottom and top rectangles and press seam towards the darker fabric. 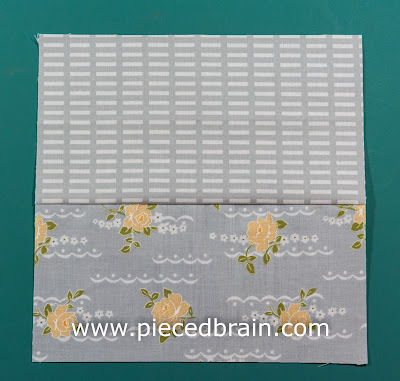 Trace template (to download template click here) onto smooth side of fusible web. 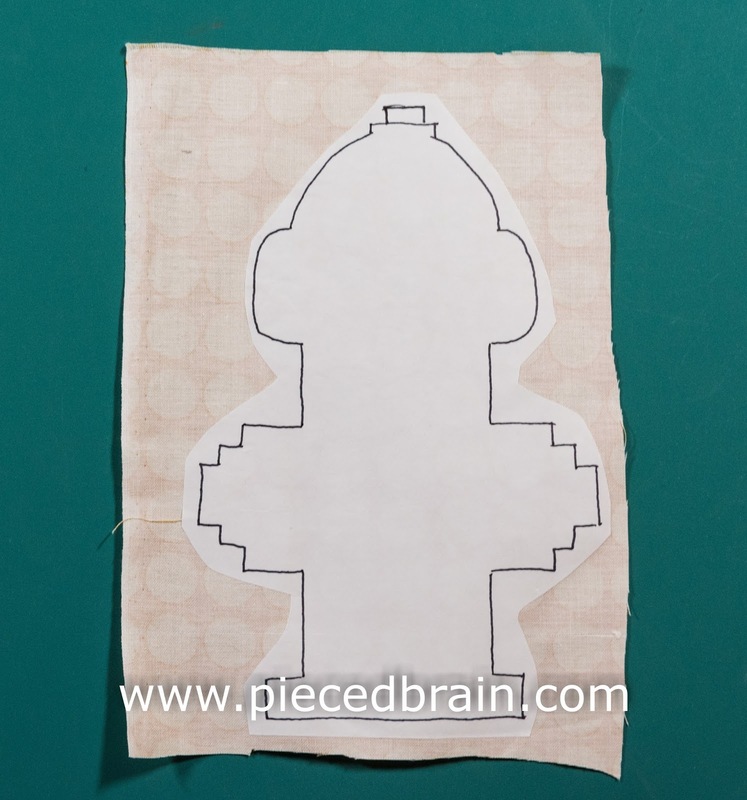 Cut around the outline and iron it onto wrong side of fabric. 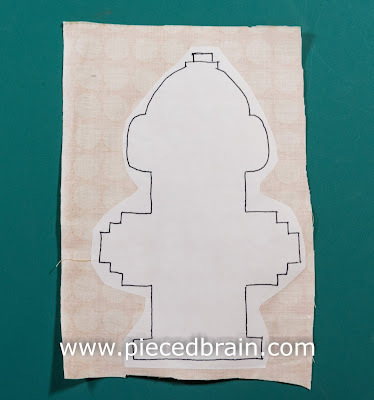 Using sharp scissors, cut on the outline, peel backing and iron it onto background block. 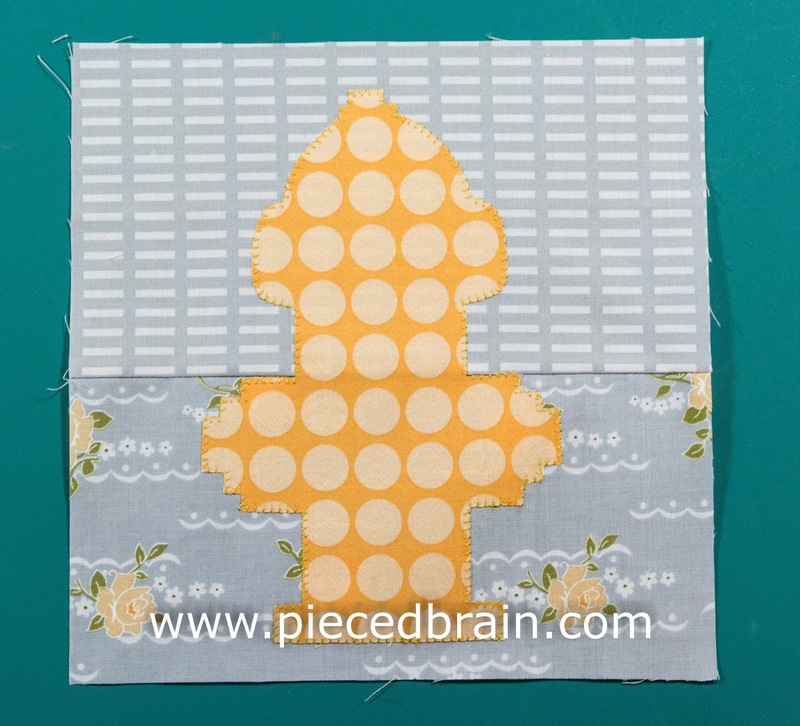 Machine applique' with blanket stitch and matching thread, then press on the reverse side to set stitches. 28 down, a few more blocks to come. So... how are your blocks coming along? Send me pictures and I will post them with the next block. 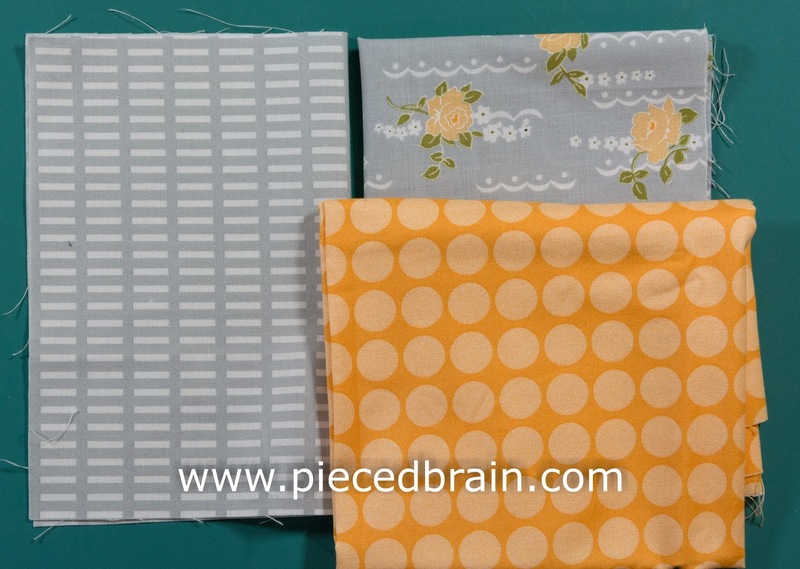 I hope you get a lot of sewing done today!